I am always looking for ways to encourage students to incorporate Spanish organically into their daily conversations. Sometimes it happens, often it does not. 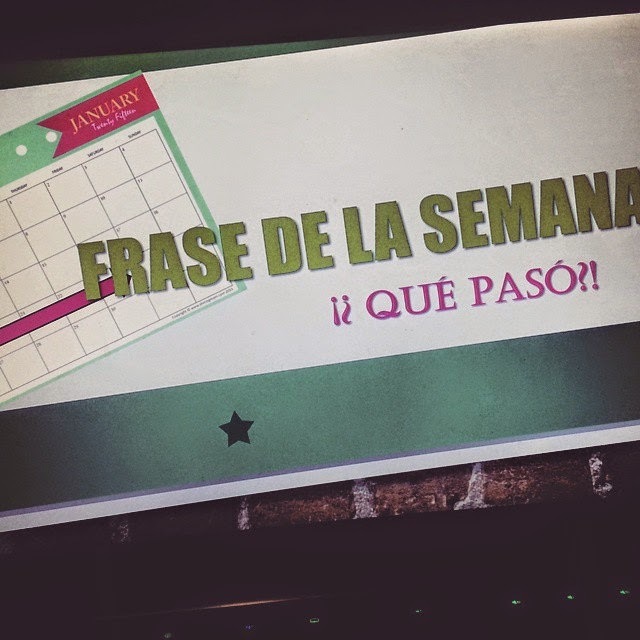 So this year I decided to take a more proactive role in targeting one "frase de la semana." Each Monday I introduce a brand new phrase that I think will be helpful for them to know. I have a spot on my front chalkboard where I write the phrase in Spanish and leave it all week for them to reference. I do my best to act out the phrase in Spanish using gestures, pictures and whatever else I can gather to express the meaning. Each time I hear the students using this phrase in context throughout the week, they receive a red "boleto." 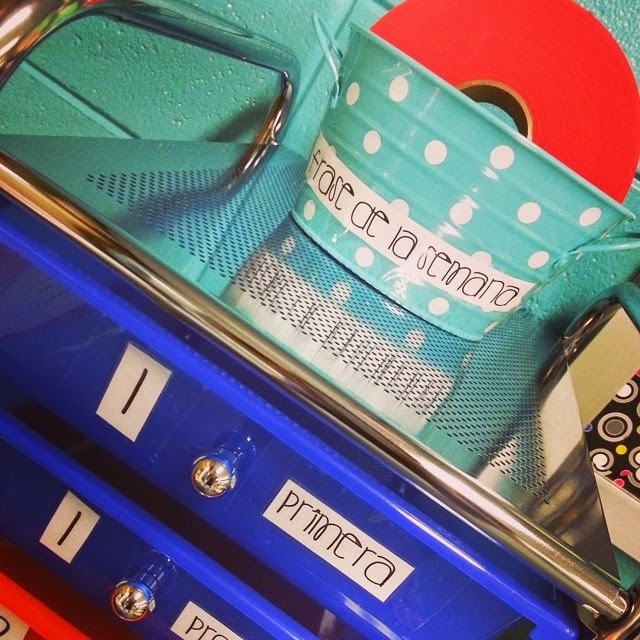 They write their name and class period on the back and place it in my little bucket by the door. On Fridays I draw out a name (or two or three, depending on how generous I'm feeling :) ) and the winner gets to choose from my highly coveted "premios" box. It was JUST refilled, so tickets are going hot! This semester students requested the ability to use the phrase on social media sites and gain credit that way too. I think that still accomplishes our original objective...so I said yes! We will see how it goes this week. At this point, I love seeing tweets from my students using #valelapena, so I'm considering it a win.